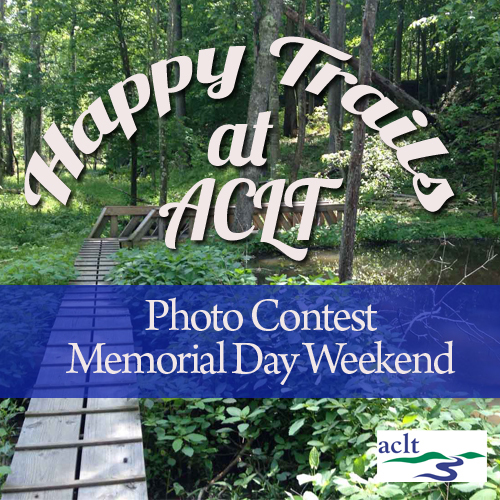 Happy Trails at ACLT Photo Contest! Looking for a fun activity to do for the long weekend? Enter the ACLT Happy Trails Photo Contest! From the amateur to the professional this contest is open to everyone. The top three photos will be featured on the ACLT website, Instagram and Facebook page! Think you have what it takes to win? 1.) Hit the trials! Take a winning photo while out on the ACLT trails. Get creative! 2.) 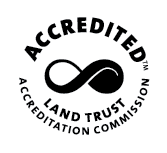 Post your photo to Instagram adding the American Chestnut Land Trust location, and tag it using the #ACLTtrailphotocontest Be sure to tell us what trail you were on. 3.) Post your photo anytime from now until Midnight Tuesday the 28th. The three winners will be announced on Wednesday the 29th. Since we can’t wait to share your amazing photo, be sure that you are comfortable with everything in the photo being featured (children, pets, etc.) This contest is not sponsored by Instagram in any way. Good Luck & Happy Trails! Need some inspiration? Follow our official ACLT Instagram page @hikeaclt or view it here.